"We’ve been manufacturing quality tanks since 1984 and our company is still owned and managed by the original founder. This is unique in the tank industry"
Starting out in 1984, John Fleming began a small family business manufacturing tanks for the local Northern Rivers market. After 35+ years of innovation, stable management and an ongoing commitment to excellent customer service, Duraplas is now one of Australia’s leading water tank manufacturers. Thank you for your interest in the exciting range of quality Duraplas New Generation™ polyethylene tanks. Our water is rapidly becoming a rare and precious commodity, with water restrictions during dry periods becoming commonplace. At Duraplas, we offer permanent water storage solutions and an opportunity for you to significantly reduce your town water consumption charges. Our extensive range of tank styles, sizes and colours will ensure your selection will complement your home and lifestyle. Whether you are in the market for an above ground polyethylene storage rank, or a fully integrated under driveway rainwater harvesting system, Duraplas has the right product for you. Duraplas technology offers you a choice of quality pumps, controllers and tank accessories to enhance the purchase of your New Generation™ poly tank. A comprehensive pump selection guide is available at your request. Your purchase is backed by our reputation and experience. Duraplas Tanks is a division of Ajay Industries Pty Ltd, and has been the market leader in the tank industry for over 35+ years, supplying tanks to both the Australian and international markets. Duraplas is Australian to the core — a family owned business manufacturing locally. Superior and unique, computerised manufacturing techniques ensure Duraplas tanks are produced in an environmentally friendly manger. Duraplas is approved to ISO 9001:2000 quality standards. Our premium quality tanks are covered by our proven and reliable 20-year repair or replace warranty. Join our thousands of satisfied customers, and contact us now for your water storage solutions. With competitive prices, committed delivery dates, and service unmatched in the industry, our friendly team looks forward to discussing any aspect of your requirements. We trust we will hear from you in the near future. 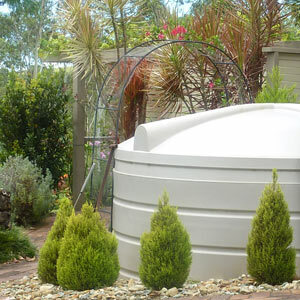 Ajay Fibreglass Industries Pty Ltd (our jointly run sister company from which Duraplas was born) began manufacturing a range of quality fibreglass reinforced water and molasses storage tanks on a property just outside of Alstonville NSW. Within eighteen months the original manufacturing facility was too small and a new factory was built in the local industrial estate. The main market in the initial years was between Brisbane and Coffs Harbour and west to Tenterfield. Demand grew strongly in the first ten years and Ajay Fibreglass employed 4-6 staff. 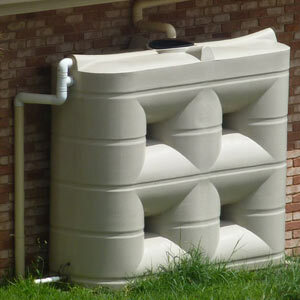 The market for rainwater storage tanks broadened in the early nineties. 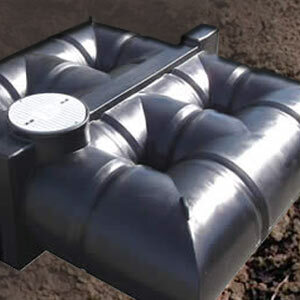 Poly tanks became very popular and were in strong demand. The New Generation™ range of Duraplas tanks was like nothing else and hit the market by storm. The combined New Generation™ design featuring computer aided rib design, dome self-supporting roof and no vertical parting lines were unique and placed Duraplas Tanks in a class of their own. Demand rapidly grew and by 2005 the company was manufacturing 24 hours a day, six days a week. A fleet of eighteen delivery trucks now serviced a market from Canberra in the south to Rockhampton in North Queensland. With the internet taking off in a big way, Duraplas goes live with a basic online presence. This makes it easy for customers to browse our tank range from the convenience of their own home for the first time. Thousands of customers browse our website each month, with complete access to our highly sought-after tank range. Sales continue to increase and the Duraplas brand becomes synonymous for quality and service in the tank industry. Our range of tanks continues to expand with even more tank choices. Website traffic continues to grow exponentially and Duraplas launches a brand new refreshed mobile friendly website, making it super-easy to navigate the entire Duraplas Tank range, and provides all the information customers need to choose the perfect tank for their property, including photos, dimensions, specifications and more. This is all backed by the support of our experienced staff ready to assist with any queries. Quality Duraplas Poly Tanks are exclusively supplied, delivering customers the best tanks in the industry at competitive prices. Contact our experienced team today. Duraplas wins the 2018 Excellence in Business Award, and becomes a 2018 State Finalist. 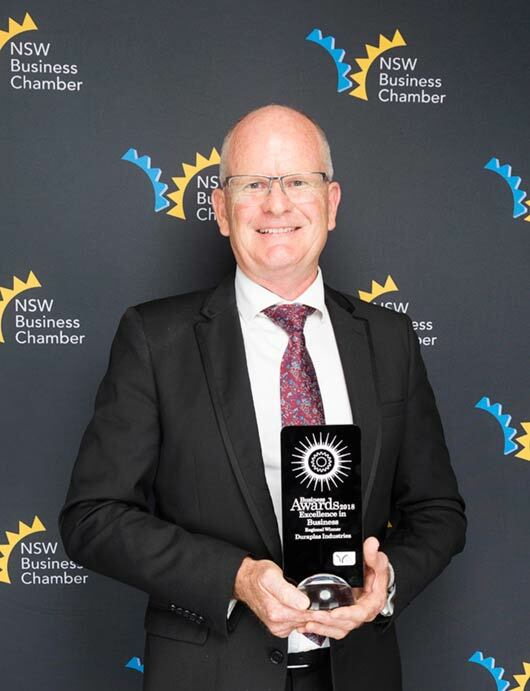 While we work day in day out to deliver excellent products and service to our valued customers, it’s exciting to be recognised as a leader in the field, and we’re thrilled to have received this award and become a state finalist.